NASHVILLE, TN — The Tennessee Department of Human Services (DHS) is a pretty big outfit. DHS has 133 fulltime state workers and 356 contract employees. It has another 527 contract employees who work for other state agencies. Much of state business is outsourced to private companies. DHS helps families pay for childcare, gets people with disabilities vocational training, and also provides services for the blind and deaf. DHS’s Adult Protective Services helps adults who are abused or cannot help themselves due to mental illness or old age. 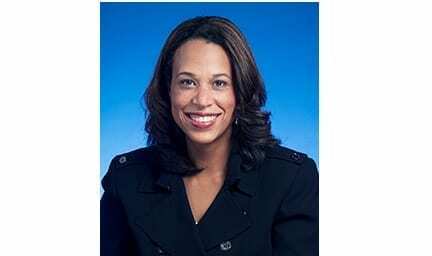 DHS administers Tennessee’s Temporary Assistance for Needy Families (TANF). The department also runs the state’s Food Stamp program, SNAP. And DHS is in charge of the state’s child support program. DHS has 44 child support offices around the state in thirty-one judicial districts. Those offices establish paternity, collect, and enforce child support payments. Child support is established by court-ordered parenting plans that take into account parents’ income and time spent with the children. The Louisiana summer air hit him like a wall of hot humidity as he stepped out from the comfort of his air-conditioned hostel. Tony Giles was on a mission to experience the renowned rowdiness of Bourbon Street. He had memorized the directions a fellow traveler gave him. They were simple: turn left, walk two blocks and get on the tram. As a British exchange student, this was Giles’ first big solo trip. He had meticulously organized the trip from university in South Carolina to immerse himself in The Big Easy. And now he was panicking. “I took a couple of deep breaths and said to myself, ‘Tony, this is the challenge you want. If you don’t want it, go home.’ So, I took another deep breath, turned left, walked down the street and somebody helped me find the tram… and the rest, as they say, is history,” said Giles. Traveling alone is daunting for anyone, especially Giles. As a completely blind man with 80-percent hearing loss, many would deem travel for Tony impossible. He has proved that wrong, many times over. Since his first solo trip to New Orleans, Giles has traveled to 134 countries completely alone. He plans on visiting all 195 countries. “I see the world through my senses,” said Giles. Giles experiences places by their smells, sounds, food, music and activities. He has yet to turn down any adventure. In New Zealand he bungy jumped six times as well as skydived. He sampled fried cockroach in Vietnam. Touched the Western Wall in Israel’s Old City. However, his favorite part of any journey is meeting new people. The adventurer has met locals all around the globe. In part because he loves learning about their cultures and customs, but also because he relies on others. “I’m used to trusting people. I’ve had to trust people from a young age to cross road and give me directions,” said Giles. Giles admits that being totally blind and severely deaf makes him more vulnerable to the negative aspects of travel, like robbery and assault. These were fears for him when he first began to travel, however, as his list of countries ticks higher and higher he has learned an important lesson about people. DENVER — Molly Nieder has always loved to sing. The 8-year-old loves Taylor Swift songs and says she wants to be a professional singer when she grows up, just like her idol. “She is sweet and funny and smart and lately she has been into theater and acting and singing,” said Molly’s father, Brad Nieder. So, when a local after school program called Noteable Kids held auditions for a children’s production of “The Little Mermaid,” Molly wanted to audition. “I was super shy at first and then I went on stage and then I loved it and it was just my dream to become a singer,” Molly said. She braved auditions and stage fright to try out for a few parts in the musical and was ultimately chosen to play the lead role of Ariel. “To get the part was a dream come true for a little girl,” Brad said. But it’s not just Molly’s voice or her bravery that make her unique; Molly was born deaf. “She sings beautifully and it’s kind of amazing that you see her on stage singing and reciting lines and you think, ‘Wow, this girl was born deaf,’” Brad said. Molly was just a baby when her parents started to think that something might be wrong. They started taking her to audiologists and documented the journey using a home video camera. Finally, when Molly was 9 months old, doctors determined that she was profoundly deaf. When she was just 14-months-old, Molly’s parents decided to have her get a surgery for cochlear implants so that she would be able to hear. For the Nieder family, the technology has been life-changing. “If it were 30 years ago, she would be in a school for the deaf and we would all be learning sign language, and instead she’s in a mainstream school and she’s Ariel in the “Little Mermaid,”” Braid said. 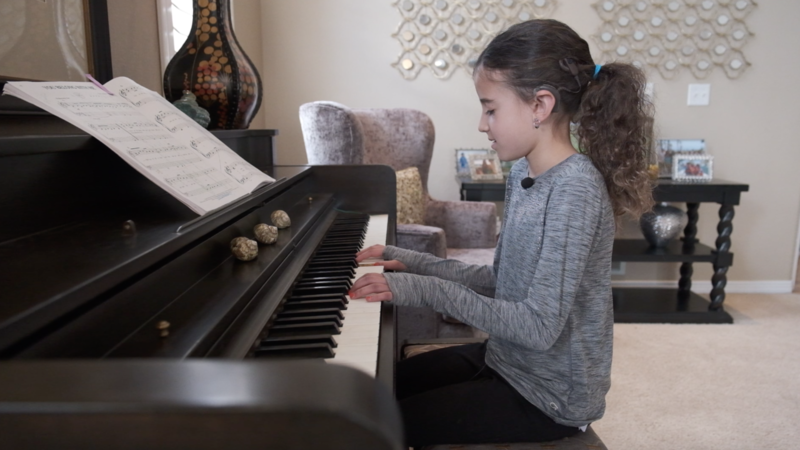 With the use of cochlear implant, Molly can now hear and sing just like her peers. Brad Nieder says normally, children with cochlear implants don’t like music since the sounds can be loud and there are so many instruments that it’s difficult to make out the tunes through the implants. However, Molly loves listening to music and sings whenever she has the chance. The family even has a piano in the living room for Molly to practice and play. Sometimes her classmates ask questions about what the implants on her ears are and how they work. However, Molly isn’t shy about explaining how the technology works and how it helps her. It’s these implants that might make Molly the perfect person to play the lead role in “The Little Mermaid” since she can relate to the struggles Ariel faced. “Ariel had her voice taken away, but I had my hearing taken away and it’s kind of like the same, it’s like Ariel,” Molly said. However, just like Ariel overcame her differences in the movie, Molly’s family says she can overcome hers to follow her dreams. “There is some irony there that the girl whose world started silent and who’s life started in a silent world is playing the role of a character who becomes silent,” Brad said. Molly’s final performance of “The Little Mermaid” was Wednesday. She’s planning on auditioning for more roles in the future. 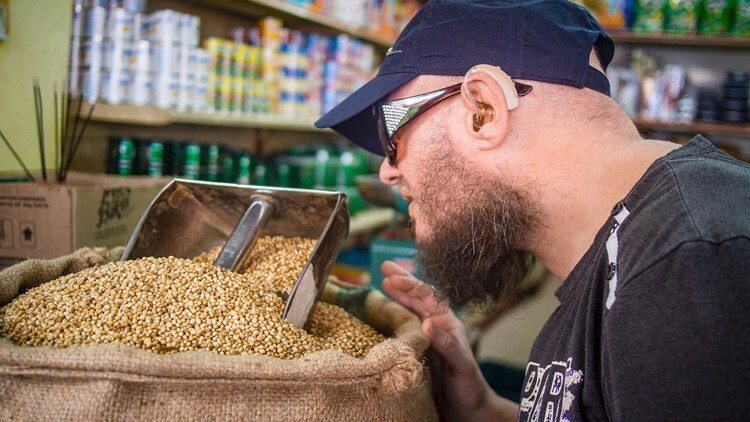 Here’s how new devices enhance accessibility and also improve the employment rate for the deaf and hard of hearing community. WASHINGTON D.C. – Arthur L. Johnson American Sign Language students recently had the opportunity to visit Gallaudet University in Washington DC. Gallaudet the only university for the Deaf. Students toured the campus and ate in the dining hall using sign language only. The students learned about deaf culture and deaf history while practicing their ASL skills. “It is vitally important for all language students to have real life experiences using their gained skills. This trip to Gallaudet gave my students an opportunity to fully immerse themselves in ASL and the Deaf Culture,” stated Loren Hsu, ASL Teacher. Six Tucson-area facilities that provide assisted living with skilled nursing care for older adults are being sued by a nonprofit housing council claiming they discriminate against deaf individuals. The Southwest Fair Housing Council, an organization in Tucson that ensures everyone has equal access to housing in Arizona, is naming a dozen nursing homes and assisted-living facilities in the Tucson and Phoenix areas it says are breaking state and federal laws, including the Fair Housing Act and the Americans with Disabilities Act. Any facility that accepts federal financial assistance, including Medicare reimbursements for providing health care, is breaking federal laws when not abiding by the federal Fair Housing Act and also the Arizona Fair Housing Act, according to the civil lawsuit. Under the Fair Housing Act, discrimination includes “a refusal to make reasonable accommodations in rules, polices, practices, or services, when such accommodations may be necessary to afford such person equal opportunity to use and enjoy a dwelling,” the lawsuit states. The lawsuit was filed in U.S. District Court in Tucson and the housing council is requesting a jury trial. The housing council used “testers” to determine whether the facilities would supply a sign language interpreter and other services for a deaf resident if requested or necessary. The testers, who used aliases when they went to the facilities, posed as grandchildren inquiring on behalf of fictional deaf grandparents who uses American Sign Language. Audio recordings by telephone and/or videophone calls were made of all contacts between the testers and facility employees regarding what services were available for the deaf grandparents. Testers also visited facilities in person and recorded the conversations. Atria Campana del Rio, 1550 E. River Road. Officials did not return a phone call to comment about the suit. Sherwood Village Assisted Living and Memory Care, 102 S. Sherwood Village Drive. Cindy Fitzgerald, director at Sherwood, said she cannot comment on pending litigation. Sunrise at River Road, 4975 N. First Ave. Jennifer Clark, a spokeswoman for the company, said by email, “We are committed to providing high-quality, personalized care and service for each of our residents in a supportive, welcoming environment.” However, Clark said she was unable to comment about pending litigation. The Fountains at La Cholla, 2001 W. Rudasill Road. Officials did not return a phone call requesting comment. La Posada at Park Centre, 350 E. Morningside Road. Joni Condit, chief operating officer, said through her assistant that she was unable to comment on pending litigation. Silver Springs, 500 W. Camino Encanto. Officials did not comment on the suit. The remaining facilities are located in Phoenix, Scottsdale, Glendale, Peoria and Chandler. Attorneys for the Southwest Fair Housing Council did not respond to requests for comment. Jay Young, executive director of the council, also did not comment. The owners of numerous nursing homes and assisted-living residences discriminated against deaf residents “by making statements that amount to a refusal to provide” American Sign Language interpreters or auxiliary aids, including braille and taped materials, and services for effective communication with prospective residents. In some cases, testers were also told the family would have to provide and pay for interpreting services. Also, officials told a tester that for medical paperwork the facility would rely on family members. In the lawsuit, the housing council asks for the facilities to begin providing interpreters for the deaf. The council is also seeking compensatory and punitive damages, attorneys’ fees and costs.